Need hydro jetting drain cleaning in Whittier? 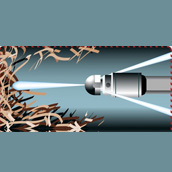 Sewer hydro jetting technology cleans sewers faster than old snake style cleaning. Call SoCal Plumbing today for a free estimate. We also use the hydro jetting method to clean the slow and clogged sewer lines to ensure that your problem is fixed correctly. It is the most efficient method used to provide guaranteed satisfaction. Call us now and get cost estimation for free. © Copyright 2018 SoCal Plumbing & Rooter, Inc.